How many baby photos have you seen today on Facebook? Sarah Schoppe-Sullivan, professor of human sciences at The Ohio State University, details why certain mothers share more than others. 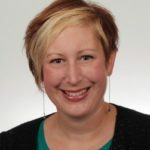 Sarah Schoppe-Sullivan is a professor of Human Sciences and Psychology (by courtesy) and a faculty associate of the Crane Center for Early Childhood Research and Policy. I am also a Fellow of the National Council on Family Relations. I received my Ph.D. in Psychology (Developmental) from the University of Illinois at Urbana-Champaign in 2003. My undergraduate degree was also in Psychology from Northwestern University. My research focuses on the family system as the primary context for young children’s socioemotional development. I have three central areas of interest: (1) coparenting relationships – how effectively adults within the family system coordinate their roles as parents – and the implications of the quality of coparenting relationships for child and family functioning; (2) the roles of fathers in the family system, particularly the roles of fathers within coparenting relationships; and (3) the effects of children’s characteristics and behavior on family relationships. It is only natural that new parents want to share pictures of their children with family and friends and celebrate their children’s accomplishments. The advent of social networking sites such as Facebook has made sharing baby pictures and updates as easy as tapping on a screen. As a parenting researcher who has watched social networking grow exponentially in popularity over the last 10 years, I became interested in how often new parents use social networking sites and what the impact might be on new parents’ mental health. Our study followed 182 couples who were expecting their first child across the year surrounding their child’s birth. When their infants were nine months old, we surveyed these parents about their use of Facebook in the early months of parenthood. We asked fathers as well as mothers, but quickly learned that mothers spent more time on Facebook and took primary responsibility for posting baby photos. Thus, we focused on new mothers. One of the first things we discovered was that certain mothers – those who were more concerned with validating their identities as mothers and those who believed that others expect them to be perfect parents – were more active on Facebook. They reported stronger emotional reactions when photos of their child received more or fewer likes and comments than anticipated. We then tested whether Facebook use was associated with elevated depressive symptoms in the first months of parenthood. Indeed, mothers who sought external validation for their mothering identity and were perfectionistic about parenting experienced increases in depressive symptoms indirectly through higher levels of Facebook activity. So, should mothers give up Facebook? Not necessarily. New mothers who find themselves spending a lot of time on Facebook and whose time on Facebook leaves them feeling blue may consider taking a break from Facebook and pursuing other ways of interacting with family and friends to share the joys and stresses of motherhood.